Today we got to add a ferry to the many forms of transportation we've slept on! At this point in the trip, it is safe to say that we have trained our bodies to fall asleep as soon we sit in any motorized vehicle. In fact, in one day I slept on a bus, a ferry, and a van. We left our hostel in Northern Denmark early in the morning to drop off our dear guide Bo and his son at the airport. 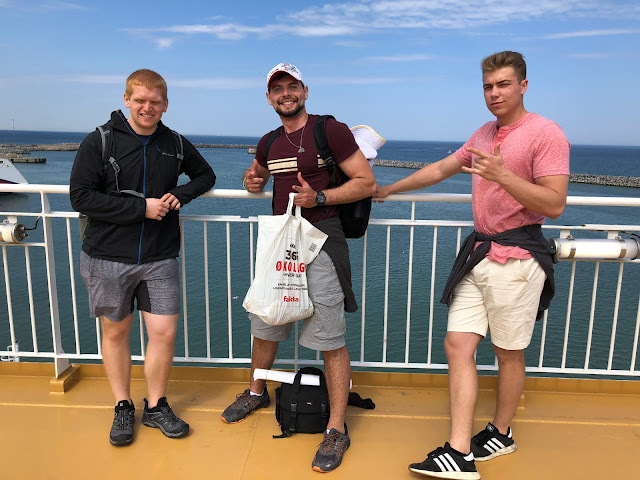 Shout out to those two for truly making Denmark and Iceland an amazing experience. On the ferry, Paul got us thinking—and calculating—about how much diesel is burned per foot traveled. Our group estimated about one gallon per foot. Looking into this more when I got to the dorms, it was hard to find any comparable numbers, but I did find that ferries use on average 12.6 passenger miles per gallon. This is figured by multiplying the miles per gallon by the average number of passengers. When looking into this I also found that people are trying to reduce emissions of ferries by changing fuel to methanol and making electric ferries. 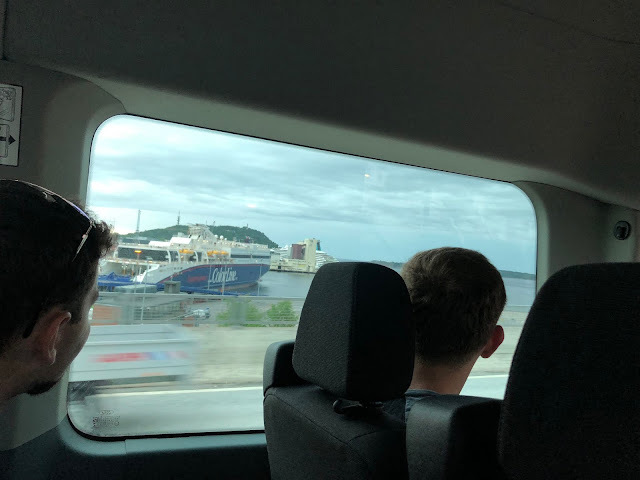 Once we arrived in Norway, we took a quick drive to the University of Adger, where we will be staying for the next three nights. After meeting with Erin and Pol, we had the rest of the night free to explore the campus. People went for runs, found the beach, ate McDonald's, and enjoyed the use of Wi-Fi.